Visualization of cavitation is currently a very interesting topic. In the project, results from previous HPC simulations will be provided as a base to develop a visualization strategy based on advanced open-source tools. Starting from an already developed In Situ visualization interface for OpenFoam, we propose to also develop a web 3D visualization tool that can be used online to check the correctness of the simulations but that may also be adopted offline (i.e. for post-processing) to explore the time evolution of the 3D fields of the model. Such tool will be designed and implemented to be portable to other coupled modelling systems. Week 2: Introduction to CINECA systems, small tutorials on parallel visualization and detailed work planning. Week 3: Problem analysis and deliver final Workplan at the end of week. Week 4, 5: Production phase (A proper visualization workflow will be implemented starting from existing outputs). Week 6, 7: Final stage of production phase (Depending on the results and timeframe, the visualization scripts will be adapted to the production workflow). Preparation of the final movie. Week 8: Completing the final movie. Write the final Report. 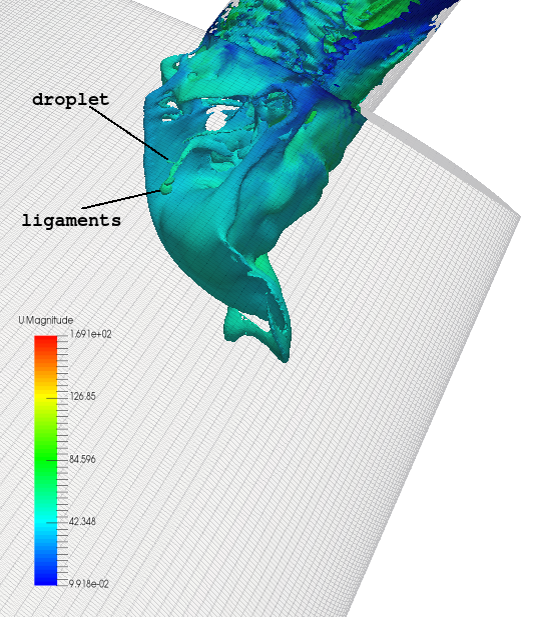 The purpose of this project is to integrate a visualization tool within the OpenFOAM combustion model workflow. Our final product will consist of a visualization web interface based on ParaView Web as well as a movie illustrating the use and the results obtained during this 2 months work period. In addition, a small report on the work done will be produced. We can also create several visualization pipelines for analysis purposes. A simple web interface to Paraview will be developed, and put in production. A very simple movie showing the web interface will be prepared. The software OpenFOAM, released by the OpenFOAM Foundation and by OpenCFD will be provided togeher with all the open-source software neeed for the work (e.g. ParaView and Blender). The software is already available on the CINECA clusters that will be used by the students with their own provided accounts.